It’s not every day schoolchildren get to meet Fred the Red, Manchester United’s official mascot, or have the Premier League Trophy in their classroom. 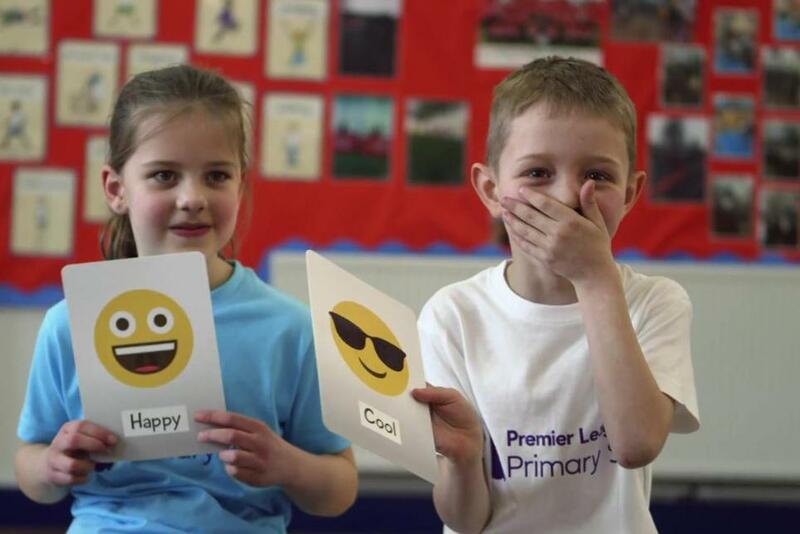 But the children of Button Lane Primary School got this treat when Manchester United Foundation visited them recently to coordinate a lesson in literacy as part of the Premier League Primary Stars programme. In their literacy session, the children played ball games in which they had to earn letters they used to spell words. They were also encouraged to come up with adjectives to describe Fred in a team-building environment. "I find the Primary Schools programme inspirational," said Jennifer Mildenhall, the Premier League Primary Stars Coordinator for Manchester United Foundation. "It’s about saying there’s a bigger world about there, and introducing them to new experiences that they never thought would be possible. "By doing that at an earlier age, as the children get older they are not afraid to learn new things or follow a career or aspiration they may have thought wasn’t an option to them." Premier League Primary Stars is a national curriculum-linked education programme that uses the appeal of the Premier League and professional football clubs to inspire children to learn, be active and develop important life skills. Literacy is just one of the key elements of the programme. Primary Stars provides free downloadable resources which are available for teachers across Key Stages 1 and 2 in English, Maths, PE and PSHE and add to the existing support that clubs in the Premier League and beyond are providing on a daily basis to primary schools and their local communities.